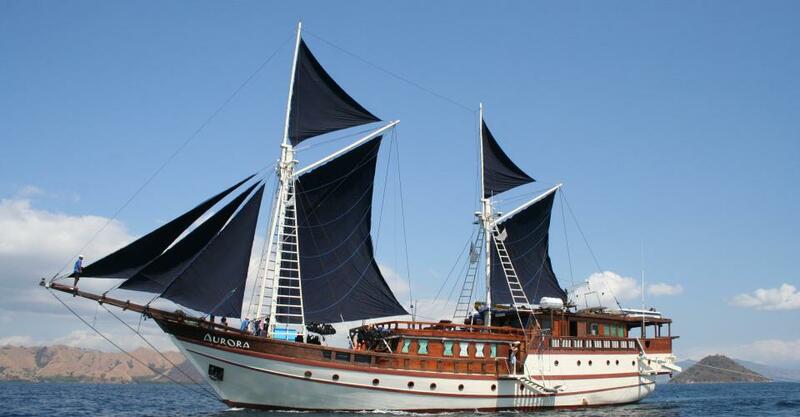 KLM Aurora, operational since 2010, is a spacious, double masted, teak motor-sail yacht, built according to the traditional Pinisi style, and designed for a discerning dive clientele. 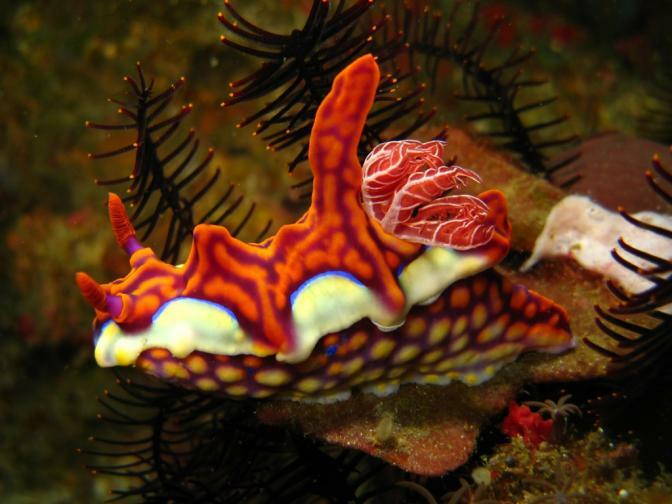 The vessel is 42m (138ft) in length and 9m (30ft) wide. 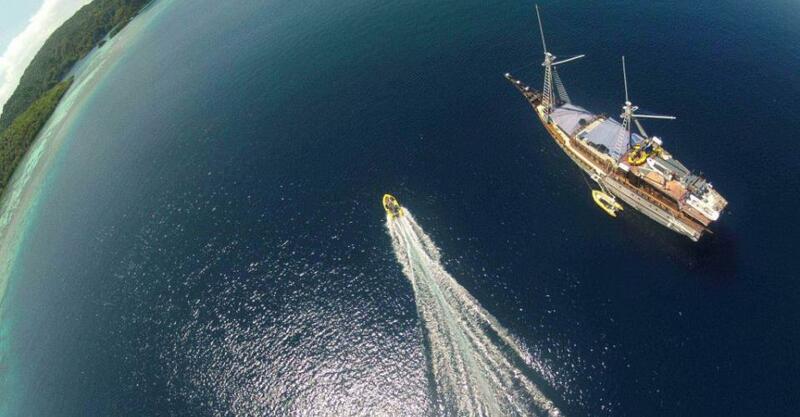 Guests will experience modern comfort combined with the charm of a traditional boat. 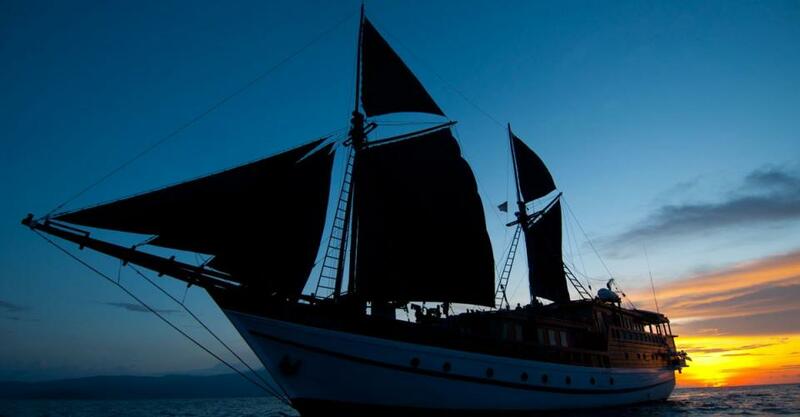 Aurora operates 7-11 night cruises in Komodo, Banda Sea, Raja Ampat and North Maluku. Aurora features accommodation for max. 16 guests in 3 twin cabins, 3 double cabins and 2 twin/double cabins. 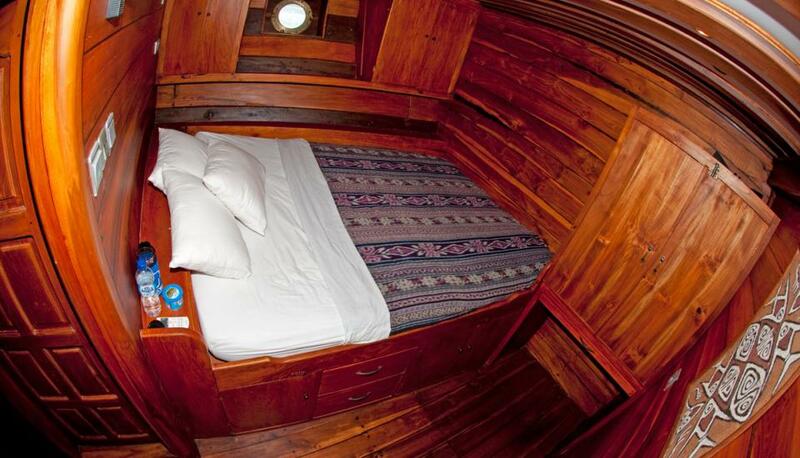 The twin cabins have 2 single beds; the double cabins have one king size bed. 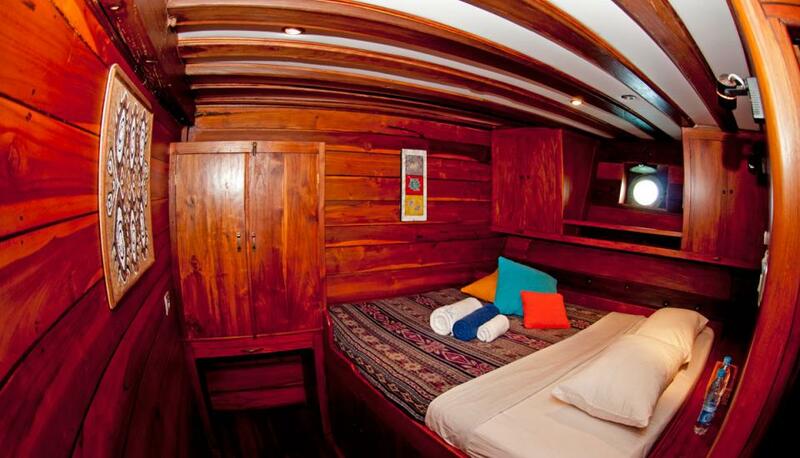 The twin/double cabins have one single bed and one king size bed. One of the double cabins has also an additional smaller single bed for a child. 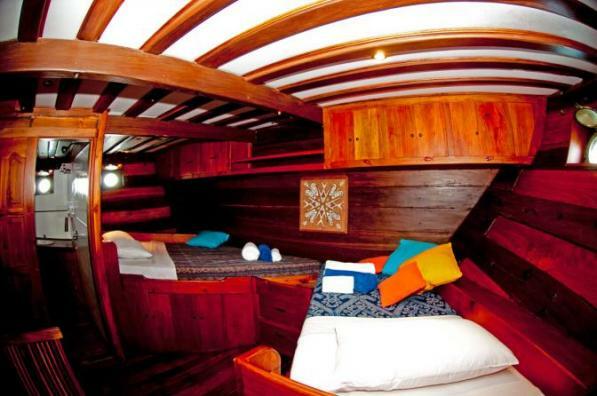 7 cabins are located below deck and have individually controlled AC, en-suite bathroom and a porthole/window, and 1 twin/double cabin is at stern, and features same standards, but private external bathroom. On the upper deck, you can find the restaurant and bar with TV, video, DVD, stereo and iPod connection, the preparation and storage area for dive equipment, lounge and photo/video area with one PC. The roof of the restaurant is a very spacious sundeck with wooden sun lounges. Electricity on board is 220V (110V possible with mobile transformers). European 2-pole power plugs can be found all over the ship and in the cabins. 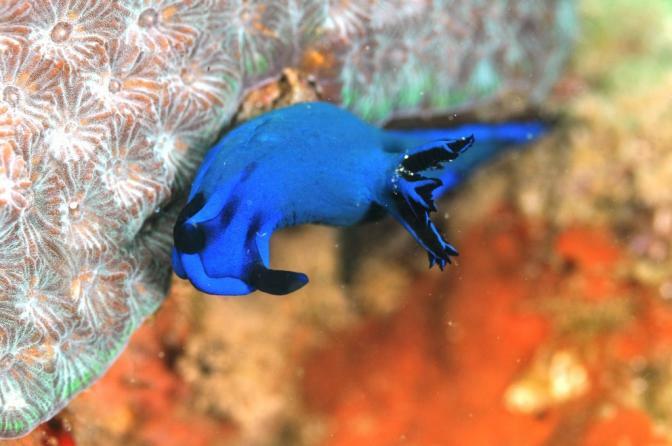 UK or US divers should bring an adaptor for their applicances. Aurora has 3 zodiacs for each 8 divers, and a fiberglas boat for up to 6 divers. Two air and one Nitrox compressor are on board. The vessel stores 60x 12lt aluminium tanks. All tanks can take either DIN or INT regulators. Nitrox is available at extra cost. Spare parts and rental equipment is limited. 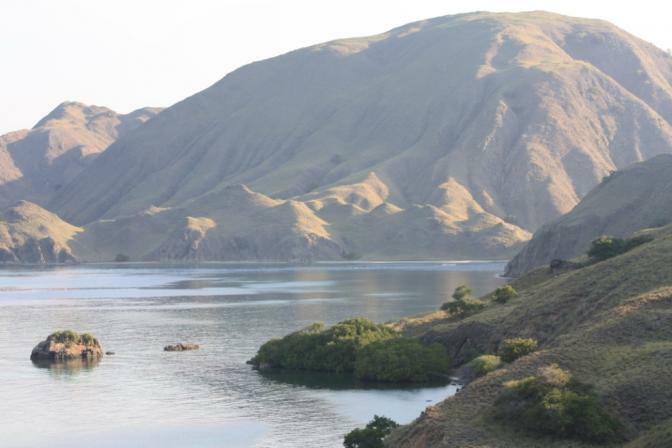 June to mid September: Komodo National Park. 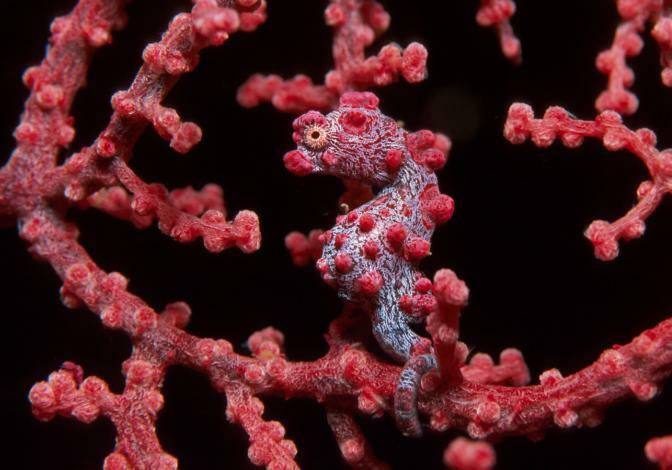 Cruises start from Bali or Labuan Bajo. 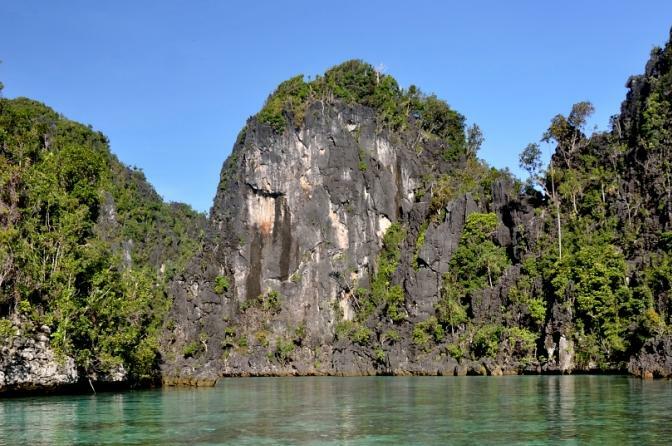 November to March: Raja Ampat. Cruises start/end from Sorong.